As the weather gets colder, we begin to shift our attention away from the lawn and towards our home interiors. When you can’t feel your toes, there’s simply no reason to spend very much time in your yard. In fact, your best option is to stay off the grass during the winter. Walking on heavy snow compacts the soil – and that’s a big problem when you want to grow healthy grass in the spring. After your final fertilization and/or seeding, you can finally rest easier knowing you’ve done all you can to cultivate a healthy lawn for the year. It’s time to take steps to stay organized for next year. 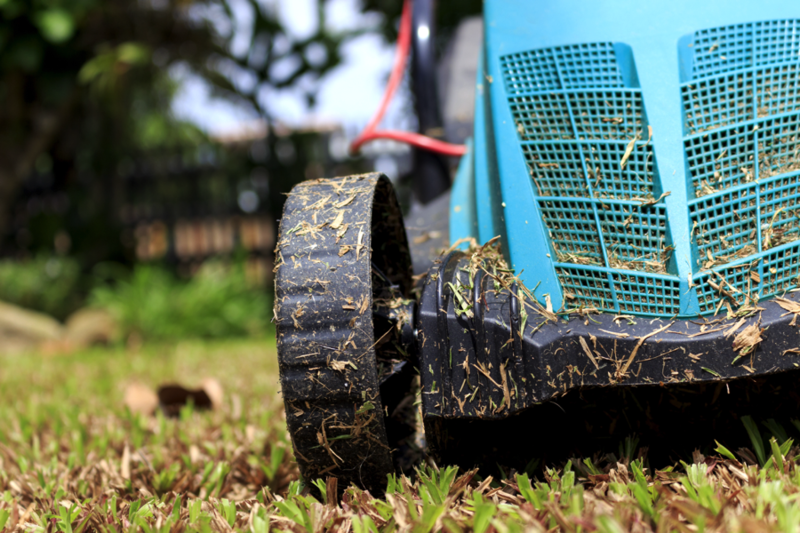 Lawn care is only half of the equation; your lawn care equipment is the other. Just like a sudden snowfall, clutter will build up faster than you can clear it away. After all, it takes big tools to maintain an entire yard, and you can’t leave them outside in a blizzard. The supplies that keep your lawn in tip-top shape will create a disaster zone in your storage if you let them. To avoid an obstacle course in your own home, start by going through all of your items and deciding what you really need. Chances are you have a few holiday decorations or lawn games you never use anymore – toss them out to make room for your lawn tools. There’s nothing worse than getting excited for a blooming lawn in the spring, only to have to dig through dozens of items you don’t need before finding the tool you do. It’s much easier to locate equipment when you categorize your items. One way to do this is to keep all the equipment that actually cuts the grass in a single area and the items you apply to the grass (fertilizer, seeds, herbicides) in another. 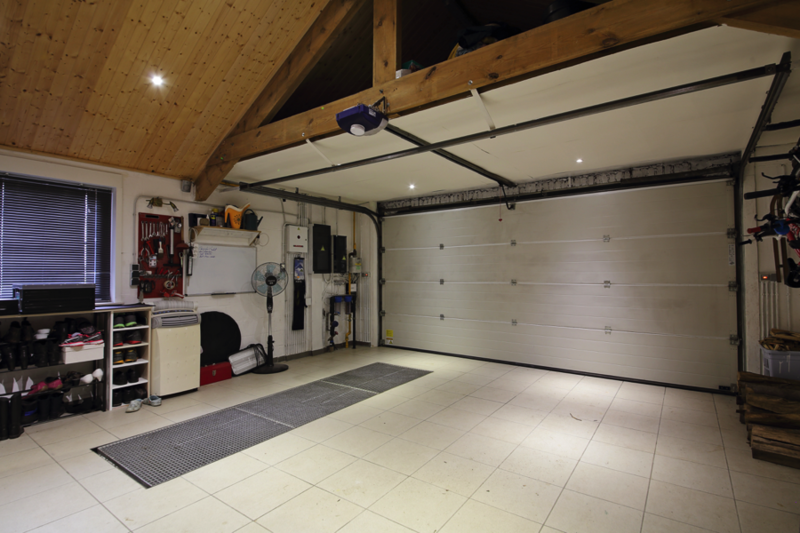 That way, the type of job you’re completing will determine exactly where you look in your garage or shed. Another way to categorize is by the sizes of your items. Small items won’t get buried under big ones when they’re all together. Look around for storage spaces that fit types of items particularly well. For example, you might want to put all of your equipment that can hang (edge trimmers, leaf blowers and garden tools, etc.) on row of hooks for fast access. Another type of storage that saves time is a pegboard. You can place your lighter items on this type of vertical storage, and then outline them with a sharpie so you always know where things go. You probably have some medium sized items, such as sprinklers and hoses, which are perfect for shelving. Go with open-faced shelves rather than drawers, because your items will be much easier to see. Lastly, your lawnmower deserves a special place in your garage. Look into lawn mower mats that keep dirt and grass off your floors throughout the year. You might think spring is the perfect time of year to clean up the garage, but fall is just as important. If you can go into the winter knowing you’ve taken steps to get organized, your lawn care will be much more enjoyable in 2017. You will be able to focus on actually taking care of your grass, rather than digging through piles of items. Looking for a way to save even more space? When you get lawn care services from us, we prove all the tools it takes to grow a lush lawn, and the expertise to use them. Take a look at some of the tools we use to grow healthier grass.